Bollywood has been one platform that has always inspired our style in almost every aspect whether it is makeup, clothing or hairstyling. 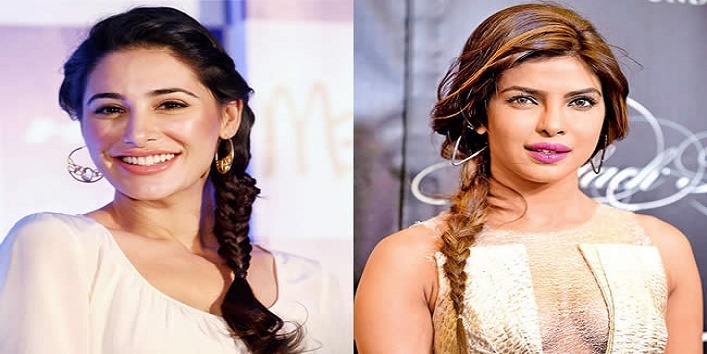 Today we are going to share with you some of the Bollywood-inspired hairstyles that you must try. 1. The messy knot- This one is very popular amongst the actresses, especially when they are headed to a red carpet event. Not only this hairstyle is perfect for a formal evening or function but along with that it also adds a lot of elegance as well as some height to your frame. 2. The bouffant- Want to add glamour to your hairstyle? Add a bouffant. This one is nothing new and actresses from all the generations have flaunted this one at some point of the time in their life. Not to forget that the bouffant was one of the most worn hairstyles of the Bollywood in the 70’s. But you can again see a lot of young actresses sporting this look whether in a side pony, bun or with their hair open flowing in soft waves. 3. Messy waves- Want to look nothing less than effortless? Then try the messy waves look with is very popular amongst our tinsel-town divas. This one is perfect for a casual day or night out. Also, if you want to make this look a little more sophisticated you can pin half of your hair up. This way you would still look glamorous but with a hint of sophistication. 4. Fishtail braid- If you want your hair to be out of your way and yet styled in a chic hairstyle, then fishtail braid it is for you. I remember the time when a few years back braids were considered outdated. but the good part is that braids are in trend right now and especially fishtail braid. Plus, it is super easy to create. just make sure to loosen some front pieces of hair for adding that celebrity style. 5. Long loose curls- Another very famous and loved hairstyle of Bollywood divas for long hair is the loose curls. This hairstyle is very low maintenance and hardly require any expertise in achieving. You can wear your hair in curls without even keeping in mind the event or occasion you are heading to because curls will compliment almost every attire and is suitable for any occasion whatsoever. 6. Straight hair- A classic one which is quite often adorned by almost every Bollywood actress. chic, stylish, elegant and more; this hairstyle can instantly add a richness to your entire look. Team up your straight hair with a saree or a casual t-shirt and jeans, it is sure to make you stand out and look nothing less than a million bucks.